We judge most things and experiences on details. I call it it the 10% rule because most of that what makes the details worth of notice usually happen at the very end of a project, building construction, manufacturing, design, experience--the last 10% of completion. That's why finishing well is not just a good idea, it's the difference between mediocrity and greatness and even success and failure. I don't care how solid the foundation of a house is or how well-framed the walls are, if the painting is sloppy the entire structure gets devalued. "It's just cosmetic," you might say, but in the minds of most people the entire product gets devalued because of the last 10% of effort was not done well. The opposite is true as well. Sometimes a beautifully finished building will garner top price before its owners find out that at core the structure is substandard. The value, rightfully or not, is mostly assessed by our first impression of the very last phase in any project. In construction we have even named them "finishes." Your last 10% can also be more than just an impression. It can be the difference between success or failure. I've been in multi-million dollar church facilities where I couldn't hear or see well. After millions spent on steel, concrete, pipes and electrical wires, costs overrun "value engineered" sound, lighting and video to something inadequate. The 10% rule comes to bear here and the entire church experience gets downgraded because the most important aspect of it, the message, gets no priority. My company, The A Group, has stopped using some very talented freelancers because they constantly break the 10% rule. They can get projects close to completion with brilliant ideas and execution, but fail to deliver at the very end. They often "disappear", miss deadlines, can't get corrections and fixes done, or are not able to take direction to bring their vision and the client's expectations in line. Think about your current project. 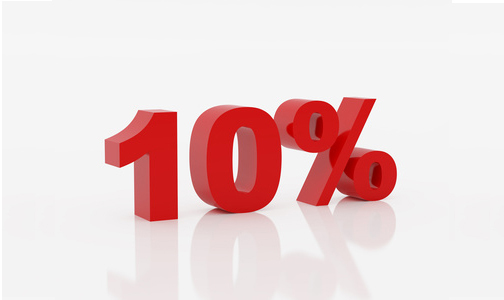 What do you need to do in order not to fall victim of the 10% rule?